Researchers say having cancer is “bad,” and that people should, if possible, not get it. PHILADELPHIA—Calling the contraction of the disease “not good,” and saying that not having the illness is highly preferable to having it, oncologists representing the American Association for Cancer Research urged the U.S. populace Monday not to get cancer. 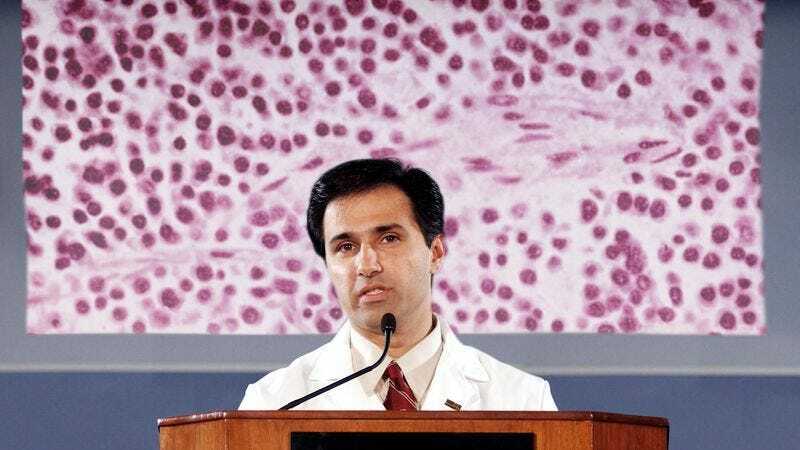 The panel, which consisted of medical experts at the top of their respective fields in cancer research, education, surgery, chemotherapy, and radiotherapy, addressed the media for 45 minutes, saying that people’s best hope in terms of living a long, cancer-free life is to never develop cancerous cells in any part of the body, ever. According to specialists, people should not contract colon cancer, breast cancer, pancreatic cancer, stage IV lung cancer, esophageal cancer, liver cancer, non-Hodgkin’s lymphoma, or any one of the roughly 200 other known forms of cancer. In addition, researchers confirmed that if it comes down to having terminal vs. non-terminal cancer, both are undesirable, but non-terminal is recommended. AACR officials went on to recommend that individuals should avoid having a family history of cancer, and that if people must grow tumors, they should make sure to only develop benign ones. Top cancer researchers throughout the country urged individuals to think of the benefits of not having cancer, such as being alive for a much longer period of time, feeling healthy, not putting your family through what will easily be the most difficult period of their entire lives, never feeling like you’re at the mercy of near impossible and hopeless science, and being able to die of natural causes and not cancer. Moreover, while 10 out of 10 oncologists recommended never having cancer, 100 percent of people who do not currently have cancer reportedly said they are much happier because of it.